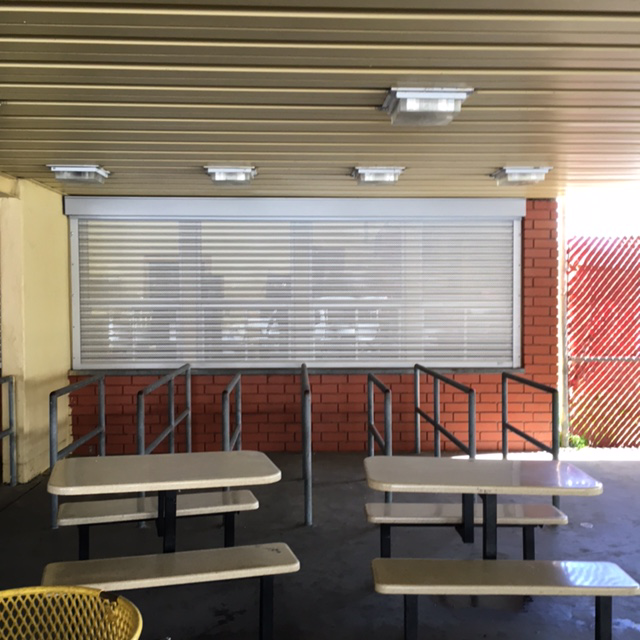 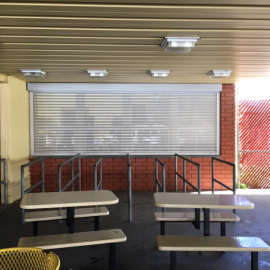 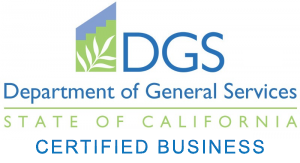 Furnished and Installed 3 motorized security shutters for Dominguez High School to protect their cafeteria. 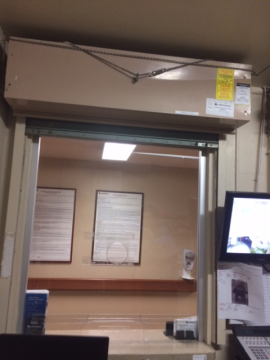 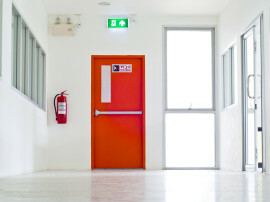 We furnished and installed 1 custom security gate designed and built by Barr Commercial Door. 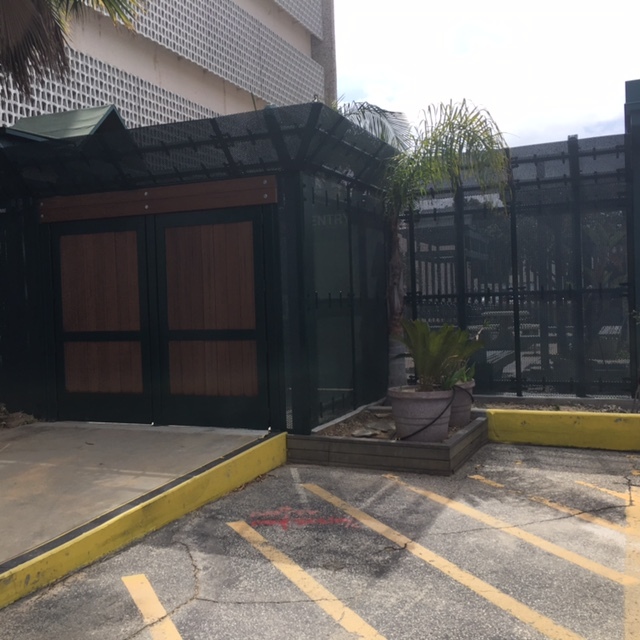 Gate is custom made of high strength steel tubing, laminated wood with steel reinforced backing and top of the line Von Duprin Panic 99 on the inside for ADA exiting. 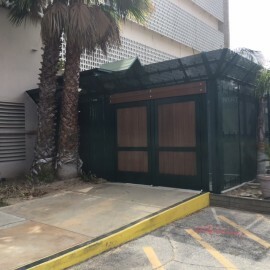 At the Torrance Court House.